Reason Saves Cleveland With Drew Carey is an original Reason.tv documentary series that first aired the week of March 15-19, 2010. Like all too many American cities, Cleveland seems locked into a death spiral, shedding people, jobs, and dreams like nobody’s business. When it comes to education, business climate, redevelopment, and more, Clevelanders have come to expect the worse. Is a renaissance possible? Of course it is, but only if the city’s leaders and residents are willing to learn from other cities such as Houston, Chicago, Oakland, and Indianapolis. And only if they’re willing to try new approaches to old problems. Reason.tv’s Nick Gillespie narrates and talks with educators, elected officials, businesspeople, policy experts, and residents from all walks of life. Reason Saves Cleveland maps a route back to prosperity and growth not just for Cleveland but for other once-great American cities. Reason Saves Cleveland with Drew Carey is written and produced by Paul Feine; camera and editing by Roger Richards and Alex Manning; music by the Cleveland band Cats on Holiday. Sixty years ago, Cleveland was a booming city full of promise, opportunity, and people. Today, the city’s population is less half of what it was in its prime and it ranks as one of the poorest big cities in the United States. Hometown hero Drew Carey reflects on how the city became “the mistake on the lake” and wonders about the city’s future. Is a Cleveland renaissance possible or is the city doomed to long, slow death? Cleveland’s public schools are failing to prepare students for their future and as a result, all parents who can afford to have been fleeing to the suburbs for decades. Yet some urban schools, like Think College Now in Oakland, California are finding out that a combination of administrative autonomy and accountability can lead to amazing results. Within Cleveland’s own boundaries, charter schools are booming and delivering quality education at a fraction of the cost of traditional public schools. Does Cleveland have what it takes to fundamentally reform its K-12 education system and become a leader in 21st-century education? Should cities be in the business of running businesses ranging from convention centers to farmers markets? Selling off golf courses, contracting out parking concessions, and all manner of public-private partnerships are generating billions of dollars in revenue and dramatically improving city services in places such as Chicago and Indianapolis. Will Cleveland’s elected officials learn the right lessons in time? 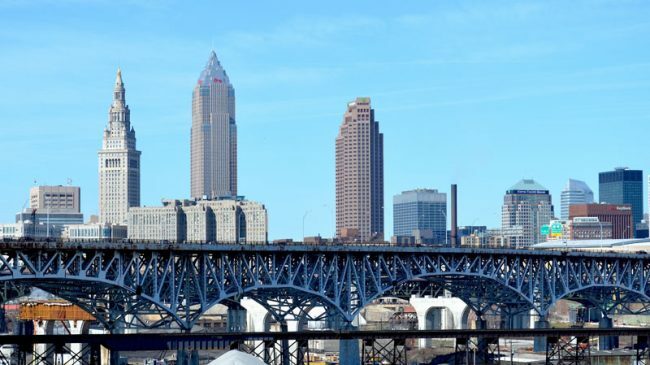 After World War II, Cleveland was booming, thanks to its leadership role in heavy industry and a business-friendly climate. Today, the city’s high taxes and onerous regulatory demands make it nearly impossible for new businesses to set up shop while choking the life out of existing companies. While relatively laissez-faire cities such as Houston are growing even during the current recession, Cleveland remains stuck in a rut. How can city officials make the city a more welcoming place for entrepreneurs to thrive? Cleveland has spent billions on big-ticket urban redevelopment efforts including heavily subsidized sports stadiums and convention centers that have utterly failed to revitalize the city’s economy. Should the city be pouring even more money into and pinning yet higher hopes on long-odds mega-projects? Or should they realize that bottom-up projects driven by the actual residents and private-sector investors are the best was to build a vibrant city for the long haul? No city can exist without people, and Cleveland has lost more than half its population since the 1950s. Yet the city still boasts amazingly affordable neighborhoods, down-to-earth charm, a rich history, a stunning and varied landscape, and diverse ethnic and cultural scenes. How can Cleveland become a destination where people flock to pursue their personal versions of the American Dream?